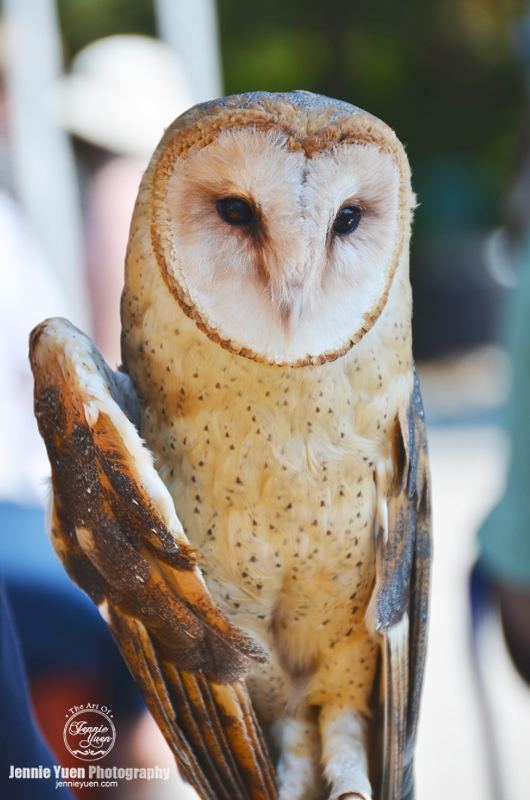 This Barn Owl is about a year and a half old. She was found injured as a young owlet and was assumed she fell from her nest. Her wing is broken so she cannot fly (as you can see the difference in her right wing), but she is currently well cared for by the local wildlife center.